Why not have a go at growing your own Pineapple? 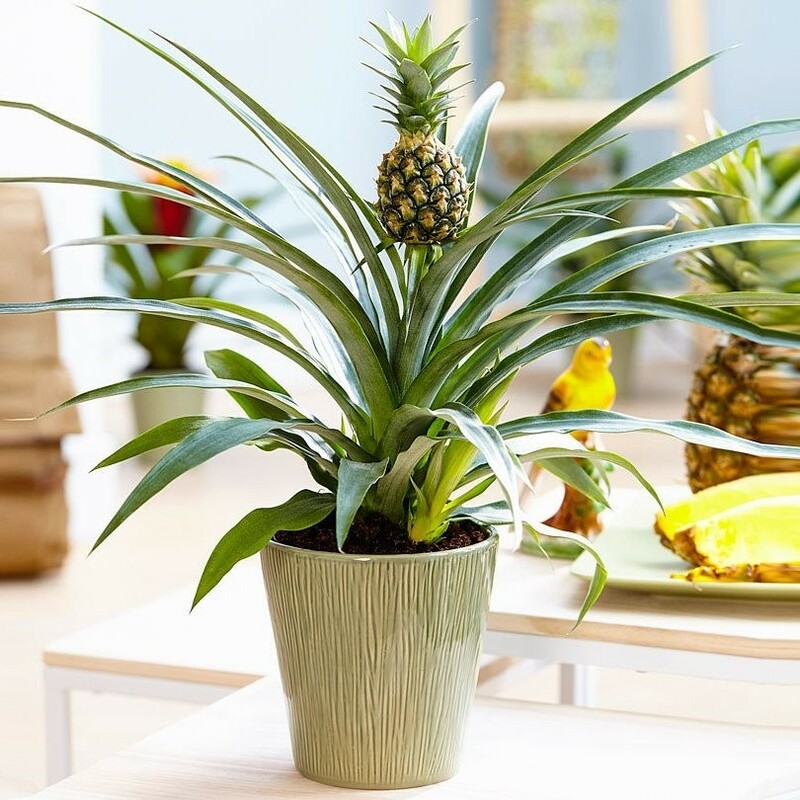 This starter plant is the ideal way to start, in time it will produce a central stem that carries the well known fruit - you can watch your own deliciously fragrant, sweet pineapple develop as you plant reaches maturity. Pineapples are members of the Bromeliad family, research has shown that this plant emits oxygen during the night and helps prevent snoring as the scent of pineapple contains and anti-inflammatory enzyme (bromylaine) that helps to expand the airways. Try keeping your Pineapple plant on a summer windowsell in the bedroom if either you (or a partner) suffers from snoring - we can't make any specifc claims, but thinks it's got to be worth a try! 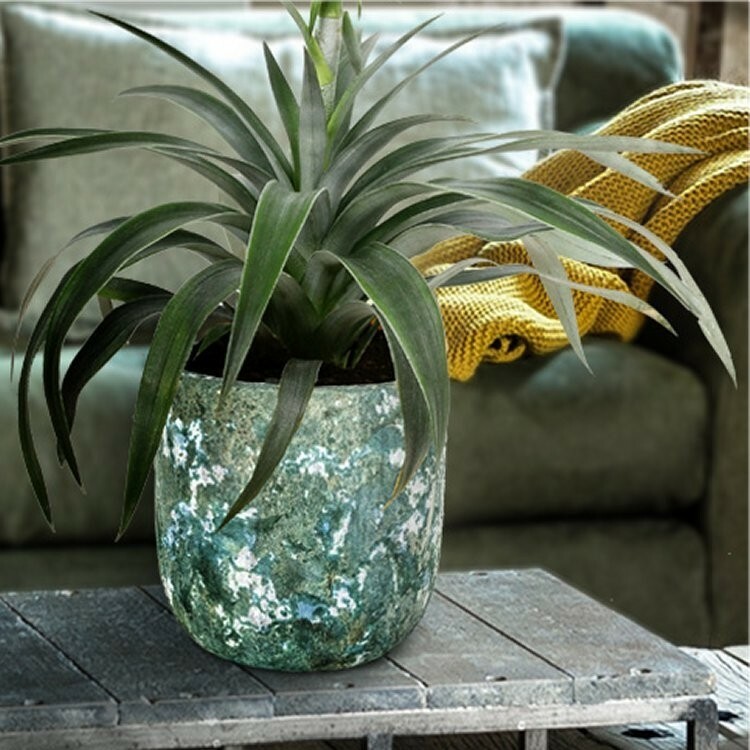 The plant is the same type as you would find in a sub-tropical pineapple plantation, except it will also be right at home here in the UK on your windowsill. Keep the compost moist, and a plump pineapple will appear. Supplied in an approx 1.5 litre container.